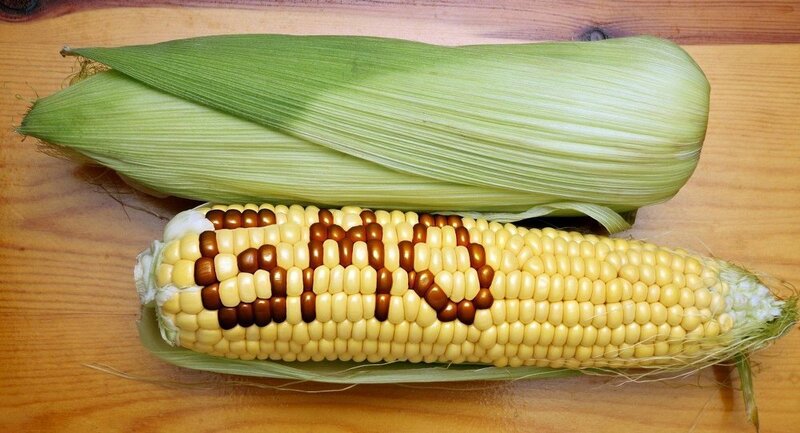 Russia’s government has submitted a bill to the country’s parliament, seeking to ban cultivation and breeding of genetically modified organisms (GMO). Importers of GMOs would be required to register and the government would be enabled to prohibit the import of such products to Russia after monitoring their effects on humans and the environment, according to the proposed legislation. In addition, the bill envisions fines of up to 50,000 rubles (about $770) for officials and 500,000 rubles ($7680) for companies that fail to comply with existing GMO regulations. Dozens of countries worldwide, including Russia, require food producers to label genetically modified foods, with opponents of GMOs, arguing that the health risks associated with such products have not been adequately studied. In April 2014, Russian Prime Minister Dmitry Medvedev stated that Russia would not import GMO food products, having enough resources to produce non-modified foods. The U.S. Department of Agriculture on Friday approved a genetically modified potato, altered to resist bruising and to provide potential health benefits. Called the Innate potato, produced by J.R. Simplot Co., it would be the first genetically modified potato in the U.S. in more than 10 years. A GMO potato developed by Monsanto Co. was taken off the market in the early 2000s after farmers and consumers showed little interest. “This approval comes after a decade of scientific development, safety assessments and extensive field tests,” J.R. Simplot said in a statement. The Boise, Idaho, agribusiness company is a major producer of french fries. The USDA examined whether the potato posed a threat to other plants. 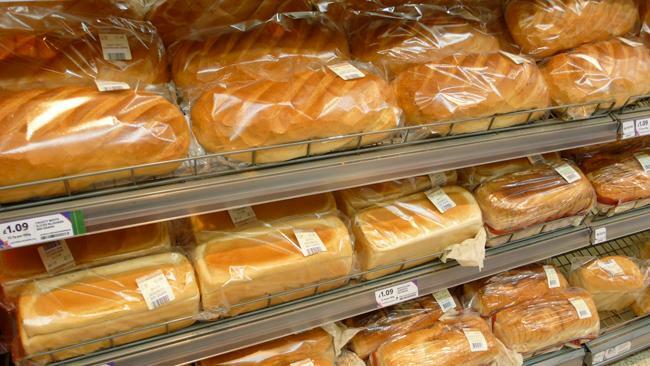 Its safety for human consumption is being reviewed by the Food and Drug Administration. J.R. Simplot, like other companies that develop genetically modified crops, voluntarily submitted its product to the FDA, and company spokesman Doug Cole said it expects FDA clearance in coming weeks. The Innate potato uses genes from cultivated or wild potatoes to achieve its new traits, hence the traits are “innate,” Mr. Cole said. 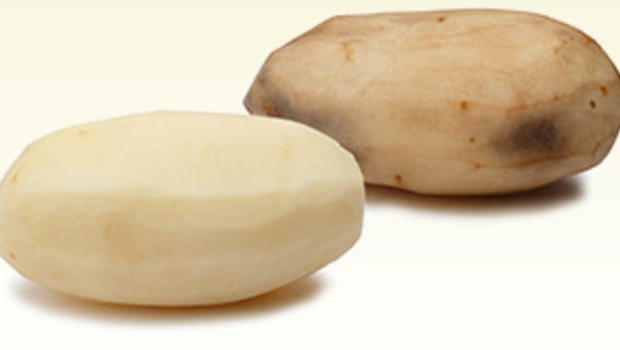 It was engineered to reduce black spots from bruising, a common reason why potatoes can’t be marketed. It also has been designed to produce lower levels of acrylamide, a potential carcinogen that forms in potatoes and other starchy foods when they are cooked at high temperatures. That puts it among the first genetically modified crops to offer a direct benefit to consumers. Nearly all other modified crops, such as corn and soybeans, are made to withstand pesticides, making it easier for farmers to grow them. J.R. Simplot plans to roll out three varieties of the genetically modified potato, the Ranger Russet and Russet Burbank, used for french fries and everyday use by consumers, and the Atlantic, which is used mostly for chips. 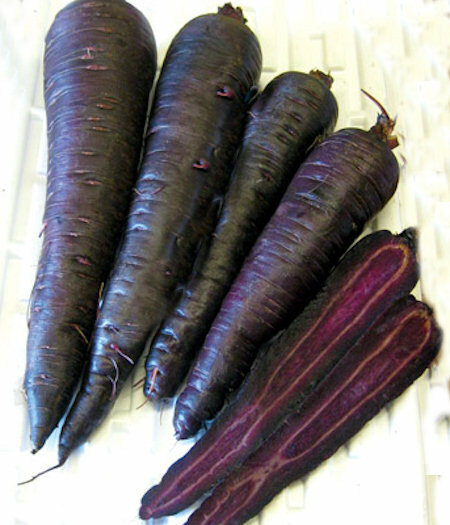 Check out this eye catching vegetable, a strikingly purple carrot going by the name of “Purple Sun”. Unlike some other varieties its purple pigment goes from skin to core meaning it’s jam packed with anthocyanins, these basically are what cause the antioxidant effect blue berries and black currents have. 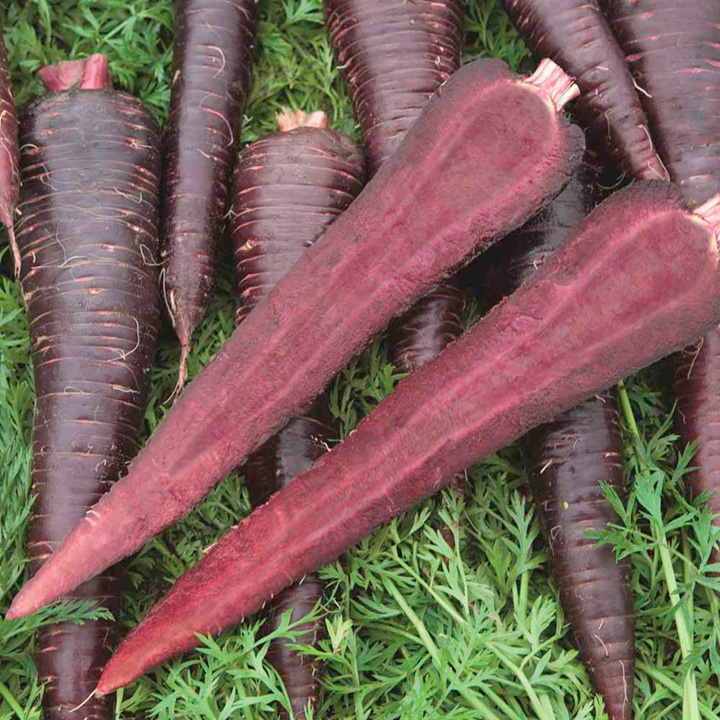 The pointed roots of this carrot with rounded shoulders are a great improvement on the older purple carrots, producing uniform roots with strong disease resistance, its purported to have a superb sweet flavour too. These can be harvested as baby carrots or grown onto full size. Watch this video to see how a French supermarket managed to win hearts and minds of its customers and reduced food waste significantly. 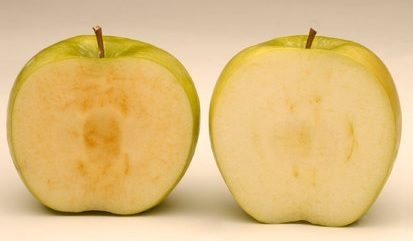 Sadly it has been estimated that we waste of 300 Million tons of food a year. This seems almost criminal when you consider that there are many people in the world who are literally starving to death. In part this has come about due to certain foods not meeting the exacting aesthetic standards that the modern consumer now expects. 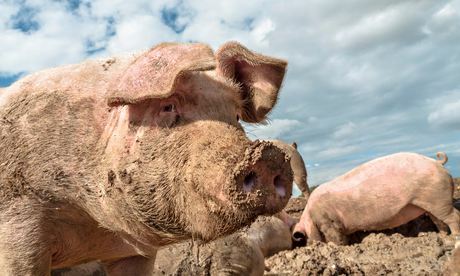 Supermarkets won’t buy ‘Ugly’ fruit and vegetables for risk of not being able to sell them (they say)… well until now that is. “Intermarché launched the Inglorious Fruits&Vegetables, a film, print, poster and radio campaign, celebrating the beauty of the Grotesque Apple, the Ridiculous Potato, the Hideous Orange, the Failed Lemon, the Disfigured Eggplant, the Ugly Carrot, and the Unfortunate Clementine.